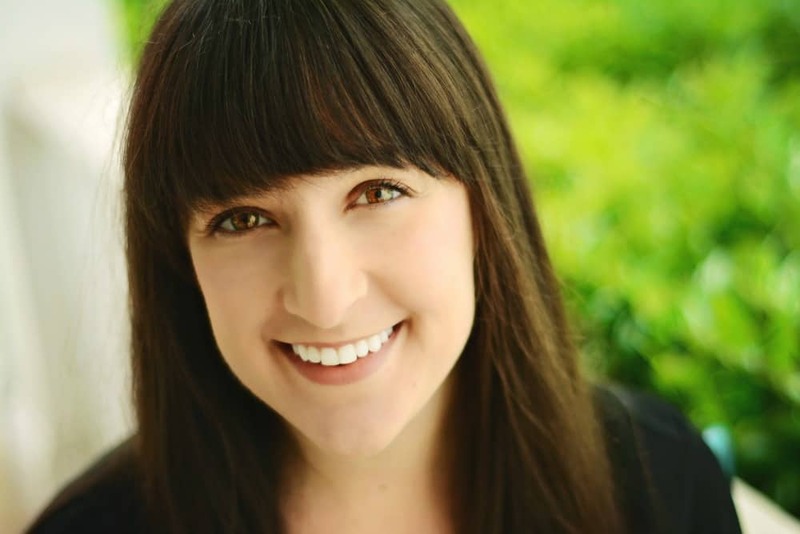 September 18, 2017 By Liz 57 Comments Note: This post may contain affiliate links. 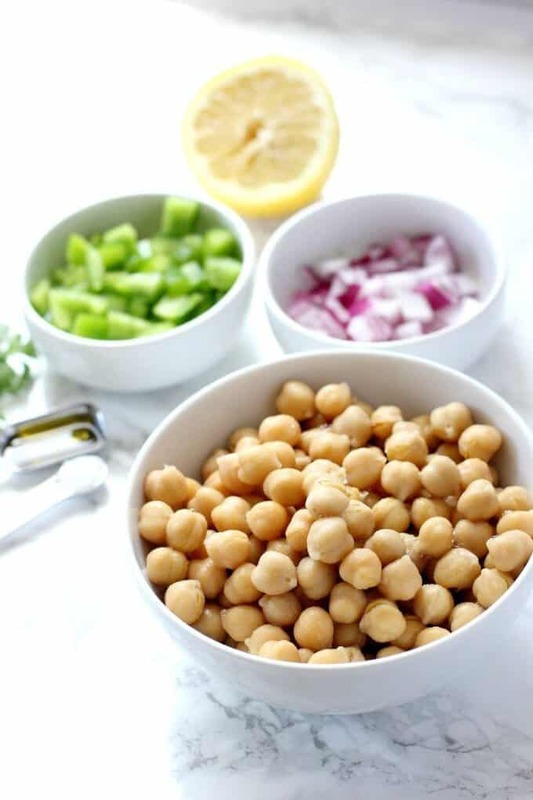 This simple chickpea salad is one of my favorite easy and healthy recipes! It’s perfect as a make-ahead lunch option but it also works well inside a pita or on top of your favorite greens! When I first started Tone It Up back in 2013, I had a lot of fun browsing through the meal plan for new ideas and recipes. If I’m being honest though, I rarely made the actual recipes. I typically just tried the follow the “lean, clean, and green” ideas. The other problem was that the vegetarian options were a little limited. You can only eat so many “veggie patties” before you’re kind of sick of the whole thing. But thankfully, chickpeas really came to the rescue! They’re a great source of protein and fiber, and they became one of my favorite meal staples! I’ve also tried planning out my meals a little better. Not only does that make grocery shopping easier, but it prevents me from having to eat something I don’t want (or isn’t so great for me) simply because I don’t have things on hand. Breakfast is usually just a protein smoothie, and lunch is often a salad from the cafeteria but dinner can be a little trickier. I picked up a few packages of frozen veggie burgers, to use in a punch. And I also grabbed plenty of black beans and chickpeas, which can easily be transformed into a protein and fiber packed dinner. Since I had chickpeas on hand last night, I whipped up this super simple chickpea salad, which I’ll throw together with a kale salad for dinner tonight. This salad can be made up to two days in advance, so it’s a great meal prep option. It’s the kind of salad that won’t get soggy after a few hours in the fridge. I actually like making it the night before because I think it helps the flavors meld. If you’re not a big fan of red onion, you can use shallots instead. Shallots are a little milder, so it can be a good option if you don’t want the sharp bite of a red onion. You can add a few additional spices if you have them on hand. A sprinkle of dried oregano or paprika can add a delicious, subtle flavor! You can use green, red, or yellow bell pepper. Sometimes I’ll use a variety to add a bit of sweetness and color to the dish. 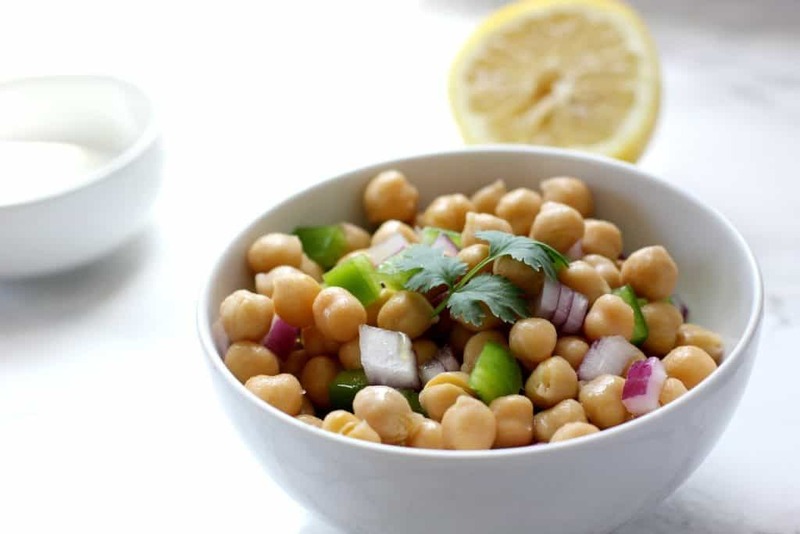 This simple chickpea salad only takes a few minutes to assemble! You could eat it on its own, stuff it into a pita, or serve it on top of a pile of greens! Rinse and drain your chickpeas and set aside. Peel and chop your red onion, then chop your green pepper. Mince a clove of garlic, and toss everything into a large bowl. Coat with olive oil and lemon juice, then sprinkle with salt. Top with cilantro or parsley! You can make this salad up to 2 days in advance. I’m thinking this dish would also be good with crushed red pepper and paprika. Basically, I don’t think you can mess this up. I love eating this on a bed of spinach, but it’s also delicious on its own. So that’s what I’ll be eating this week! Looking for something else to do with your chickpeas? Try them roasted! Note: I originally published this recipe in 2013, when I had just tried the Tone It Up 7 Day Slim Down. While I don’t follow their meal plan anymore, I still really like the overall principles of their meals! I’m not affiliated with Tone It Up, I just really enjoy their workouts and meal ideas! What meals do you have planned this week? Mmm…I love chickpeas! This looks similar to my usual quick chickpea salad except I never have bell peppers or Ms Dash on hand. I need to grab on of those spices as I’m sure I’d use it constantly! Definitely try the spices! I’m loving them on everything! 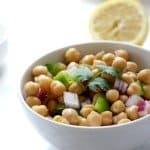 I love how versatile chickpeas are! I hope you enjoy the recipe! 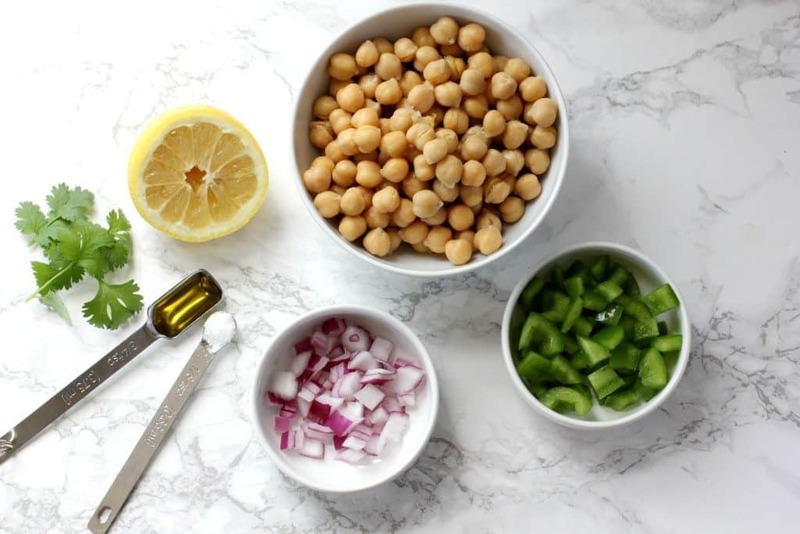 I’ve been trying to get better at meal planning – it really does take some stress away from my evenings 🙂 I’ll have to try this chickpea salad at some point this week. I’m totally smitten with chickpeas. They are just so delicious–I can eat them all the time, in a variety of ways. Yum . . . .
Jess @ JessieBear What Will You Wear? Ooh, I’m really into portion control lately, and this seems like the perfect little thing to portion out! Great idea. I always forget to buy chickpeas and now I wish I had them in my salad for lunch today..darnit. I plan on making stuffed peppers with “beef” crumbles, marinara and cheese. And I’m also doing a spaghetti squash this week. This reminds me of my aunt’s simple bean salad that has the same basic ‘dressing,’ but with the addition of some canned white corn. Sometimes, just letting the ingredients speak for themselves is all you really need! yum, this looks so good! This is definitly something I could see myself making when I”m stuck without something to make for dinner. I almost always have chickpeas on hand! 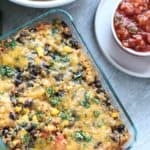 It’s a super easy dinner for sure! I made roasted cauliflower last night and it turned out deliciously! Funny because the only other way I’ve eaten it is in an Indian curry! Oh that sounds so good! I need to pick up some cauliflower next time I’m at the store! Yum, I love chickpeas! None for me while doing my Paleo Challenge though 🙁 I always plan my meals for the week but usually switch some things around. I’m looking forward to pizza on Friday with an almond flour or cauliflower crust! That is so simple and easy, Liz! I love chick peas and pretty much any other bean. You can also make them in the crock pot from dried beans, then freeze in portions. Cheaper…just a suggestion. That way they’re always on hand. This looks delish! I love chic peas!! I love chick pea salads. This one looks beautiful. Glad you are digging the loosely based meal planning so far. This salad looks fab, so fresh and colourful! Hi there, just planned to say, I liked this post. It had been funny. Go on posting! Hey…congratulations…your awesome post is featured in this weeks linky party!! Be sure to share via your social media…and it will also be pinned to the board Friday Favorite Features….pop by my Pinterest profile and take a look. Thanks for linking up. I absolutely love chick peas! Thanks so much for sharing your recipe with us at Merry Monday. these type of simple recipes are always my fav. Love how simple this Salad is, with with just a few ingredients! 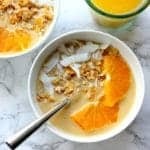 Easy, quick and healthy! 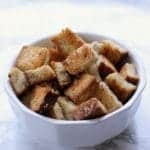 Im looking for easy recipes like this to make for an office potluck! Cant wait to give it a try! THIS LOOKS REALLY GOOD AND I LIKE YOUR IDEA OF A LITTLE RED PEPPER. 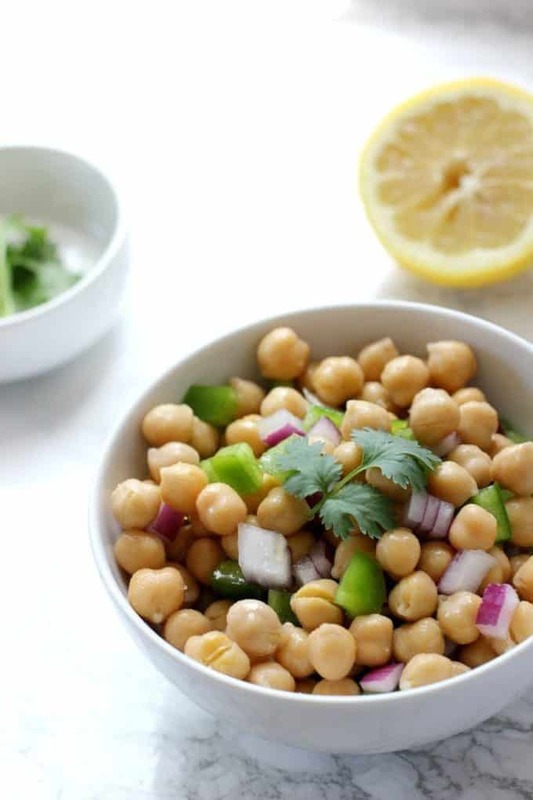 I LOVE CHICKPEAS AND HOW VERSATILE THEY ARE. Sometimes simple is so good! Those flavors are all delicious and go great together. Extra lemon please! I love the simple bright flavors in this delicious salad! Your suggestions for meal planning are spot on. I need to be better about that. Then I’d have everything I need to put this delicious salad together to enjoy!!! That is simple but one of the basics we all need for a quick lunch or side dish. Thanks! I think that simple is best when it comes to salads. A little bit of lemon juice goes a long way. This looks so healthy and delicious. I need to make! 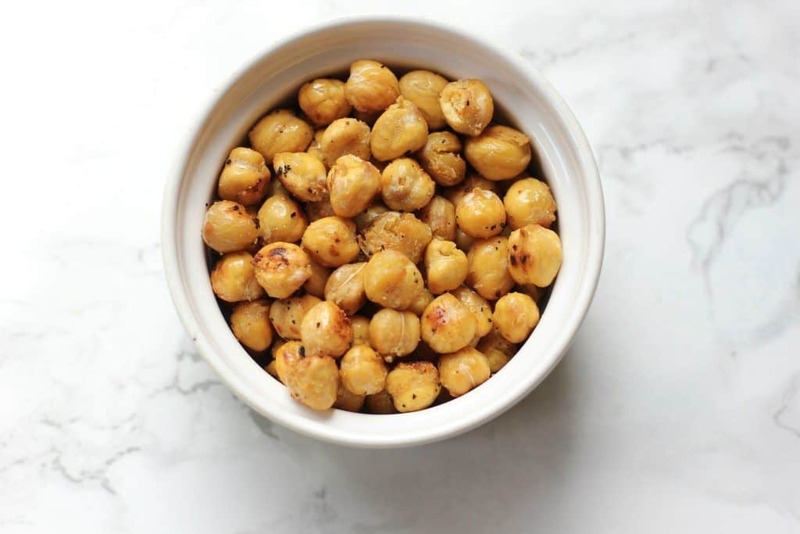 Mmm, I must buy some chickpea so I can try this! You had me at simple! this really is the most easiest salad to throw together! Love it! This seems like a very easy and finger-licking salad recipe, Liz! Is it possible to prepare this salad with yellow onion?